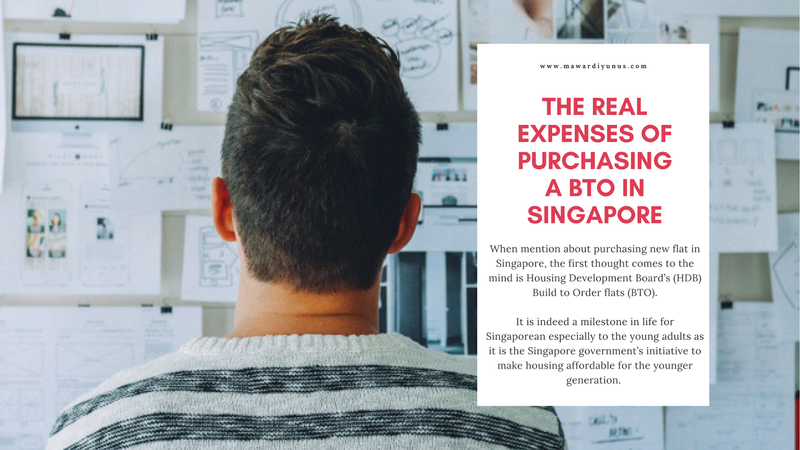 When mention about purchasing new flat in Singapore, the first thought comes to the mind is Housing Development Board’s (HDB) Build to Order flats (BTO). It is indeed a milestone in life for Singaporean especially to the young adults as it is the Singapore government’s initiative to make housing affordable for the younger generation. But little did they know, there are some hidden costs that they may overlook during the purchasing process, for example, stamp duty, option fee and others. 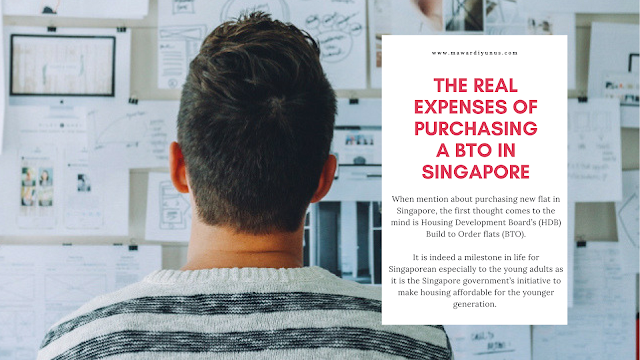 Here’s the list of real expenses that you will need to factor in when purchasing a BTO in Singapore. There’s a fee to pay for applying to ballot for BTO, you will have to pay for your application fee for your chances to ballot HDB. Well, just like other private properties process, you will need to pay for booking fee before the purchasing happens. This is to show your serious commitment in getting your first BTO. However, if you’re be taking loan from HDB housing loan, the option fee will be reimbursed to you in cash if there are enough cash in your EPF account for downpayment. Otherwise, it is most likely to be part of your downpayment in the cash portion. Here comes the highest sum of expenses you will need to pay upfront when you are getting serious for commitment with BTO. After gotten your unit, you will have to start forking out your cash and CPF for your BTO downpayment. The type of loan determines the percentage of cash needed to be pay for downpayment. If you’re taking HDB loan, the amount of downpayment is 10% using CPF. As for bank loan, the amount of downpayment is 20% (5% in cash, 15% in CPF) and 80% from bank. Check here for all bank loans for BTO. During the process of buying BTO flat, many may have overlooked stamp duty and legal fees. Stamp duty, which you’ll need to pay to Inland Revenue Authority of Singapore (IRAS) for stamping purposes. It is to stamp on certificate to acknowledge that the flat belongs to you. There’s fixed calculations based on the purchase price of the flat. After stamp duty, next would be the legal fees which also include the Conveyancing Fees and Caveat Registration Fees. The Conveyancing Fees is calculated based on the purchase price of the flat. Meanwhile, for the Caveat Registration Fees is chargeable at a fixed amount of $64.45, inclusive of GST, is payable when you sign the Agreement for Lease. It is advisable to set aside few thousands aside for stamp duty and legal fees that are unavoidable, the fees are payable in CPF. Few years after the unit is ready for possession, it is time to take your keys for your new flat. During this process, there’s cost you will need to pay, Survey Fees and Registration Fees to own the flat legally. Survey fees – for surveyor to inspect the condition and value of the flat – the fee varies from amount $150 to $375, depending on the unit type. Registration fees – for management of the flat purchase transaction – charged at fixed amount of $38.30. However, if you’re taking bank loan, you’re required to pay for additional Stamp Duty on Deed of Assignment. For this stamp duty, you’re required to pay 0.4% of the bank loan amount, subjected to a maximum of $500. There are many insurance available in the market, Home Protection Scheme (HPS) where it protects your family and loved one from losing the flat from death, illness or permanent disability till age 65 or until the housing loan has cleared. Tips: If you intend to use CPF savings to pay your monthly bill, you will need to be insured by Home Protection Scheme. The amount for HPS varies, the focus is for youngsters these days, it all depends on your age, outstanding loan amount, loan’s interest rate, loan repayment period and desired coverage. Click here to see types of insurance coverage for house. Apart from that, it is essential to get HDB Fire Insurance because it is pretty common for fire incidents to happen in Singapore. The fire insurance is a mandatory to purchase if you’re taking HDB housing loan. Fret not, the cost is less than $10, it is cost between $1.50 and $7.50 per 5-year term which depends on the flat type. I wonder if I can go to Singapore this end year. Good info. Bukan senang nak beli rumah. Ada macam-macam proses. BTO ni consider low cost flat ke ya bro? haah... x pernah rasa lagi... tp dengar org cerita mmg banyak la step nya tu..
Wow, lot of things to pay for a small flat house in Singapore. Most of my cousins are from Singapore so this article i can relate to. It’s really not an easy task to buy house there. Lots of procedure and of course needs a lot of moneyyyy. When I was in a tour to Sgpore, they do tell us how expensive house and car over there. Great info. bulat mata tengok angka2. tp info macam ni semua patut tahu. The cost of owning a property can be surprising after you take into account your rental income and the tax deductions you’ll be entitled to..How sad! 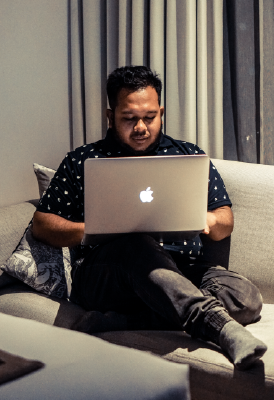 ini syarat nak beli rumah di singapura? good information on BTO. I heard of HDB only but never know about BTO. and yes i guess the expenses are just the same like normal purchase of house. alamak singapore not in wishlist for this year. 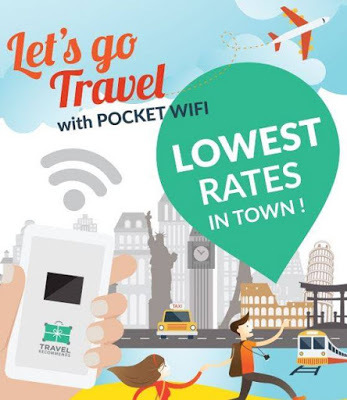 tapi kalau ada rezeki ke singapore why not I join kan ? weee. Super expensive the hidden fees. Malaysia down payment more cheaper and sometime absorb by developer. huhu belum cukup uwang nak beli umah, dengan belajar lagi, jd singe mom mmg tough..